All clues point to Charlie’s mentally ill brother, Eli, but any number of people might have been driven to kill Charlie--a handsome, charismatic man who unwittingly damaged almost every life he touched. Brett is determined to understand how such a tragedy could have happened--and whether she was somehow complicit. 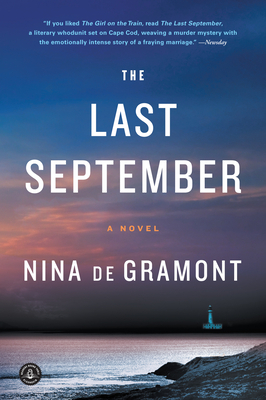 Nina de Gramont is the author of the story collection Of Cats and Men, which was a Book Sense selection and won a Discovery Award from the New England Booksellers Association. Her first novel, Gossip of the Starlings, was also a Book Sense pick. She is the coeditor of an anthology called Choice and the author of several young adult novels. She teaches in the MFA program at the University of North Carolina–Wilmington. Find her at www.ninadegramont.com.